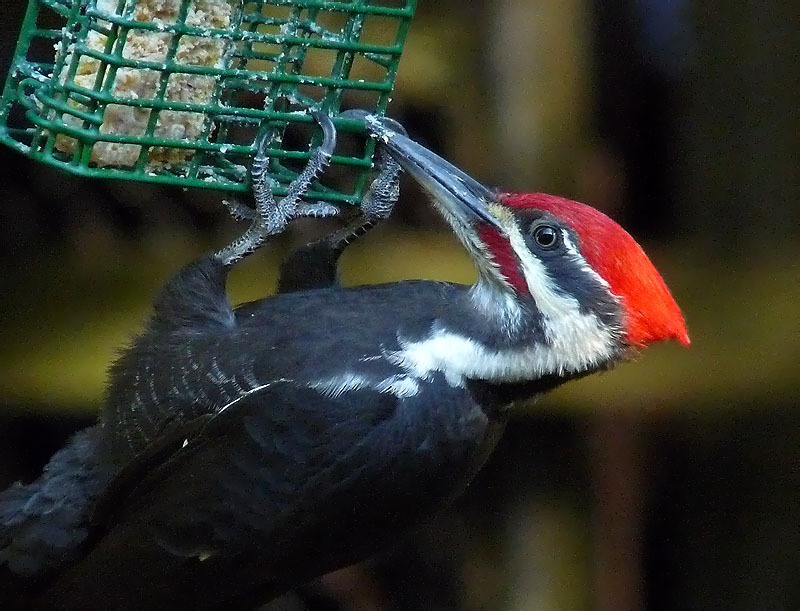 Shows » Who Likes Suet? Hang the fat and watch the fun! 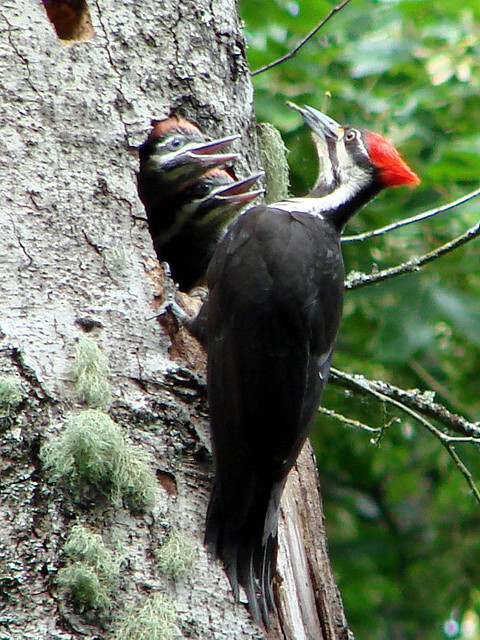 Chickadees and titmice, nuthatches and jays, and woodpeckers, like the Pileated pictured here, all love suet. As do birds whose beaks can’t open seeds, like tiny kinglets, and almost any wintering warbler. The Brown Creeper, usually creeping up tree trunks, is a cool bird to discover at your suet feeder. And in the West, look for mobs of tiny Bushtits, taking a break from their normal diet of insects and spiders. 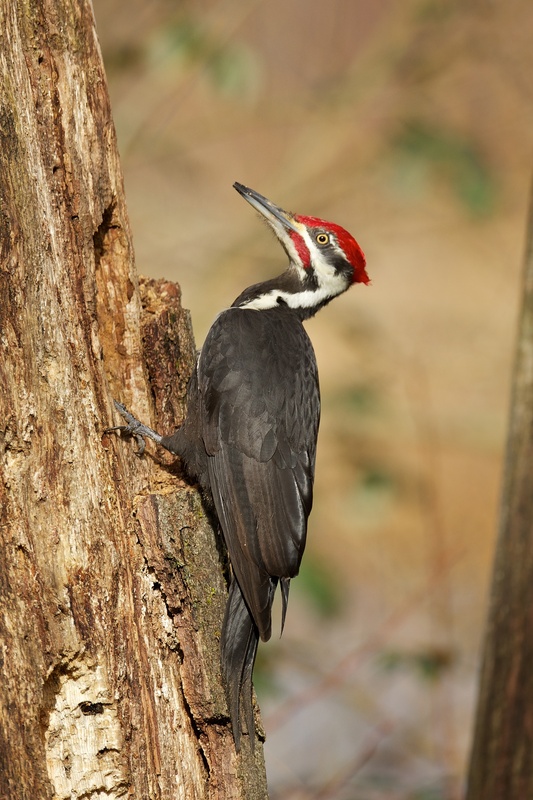 Fall is a great time to put out a suet feeder. Suet cakes are mostly fat, giving birds a high energy boost to help them survive the cold weather. Who likes suet? It’s a long and varied list. [White-breasted Nuthatch call, https://macaulaylibrary.org/audio/176168, 0.04-.07] Typical visitors include chickadees and titmice, nuthatches, jays, and woodpeckers. Alas, non-native European Starlings also find suet hard to resist. But there are suet feeders designed to exclude starlings while letting the regular native birds get to the good stuff. One of those native birds is the Brown Creeper. 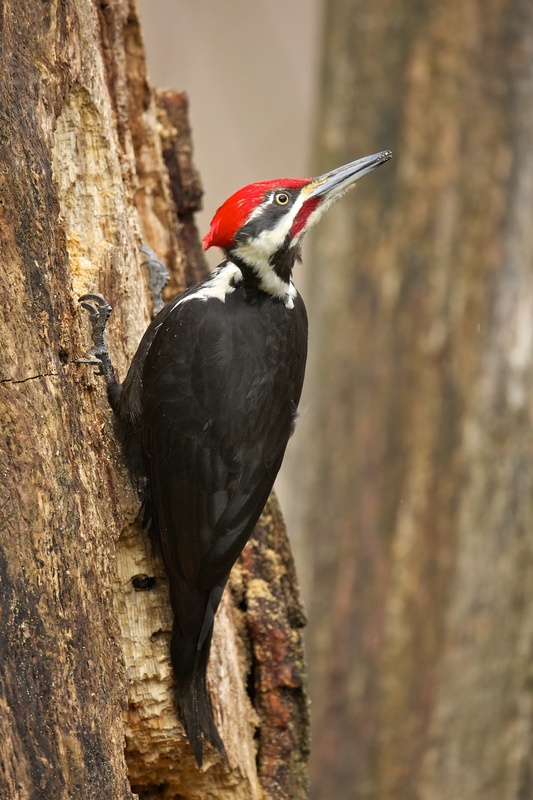 It’s an especially cool bird to discover at your feeder, because it’s most often glimpsed disappearing briskly up the trunk of a tree. In the West, mobs of tiny Bushtits sometimes blanket a chunk of suet, taking a break from their normal diet of insects and spiders. 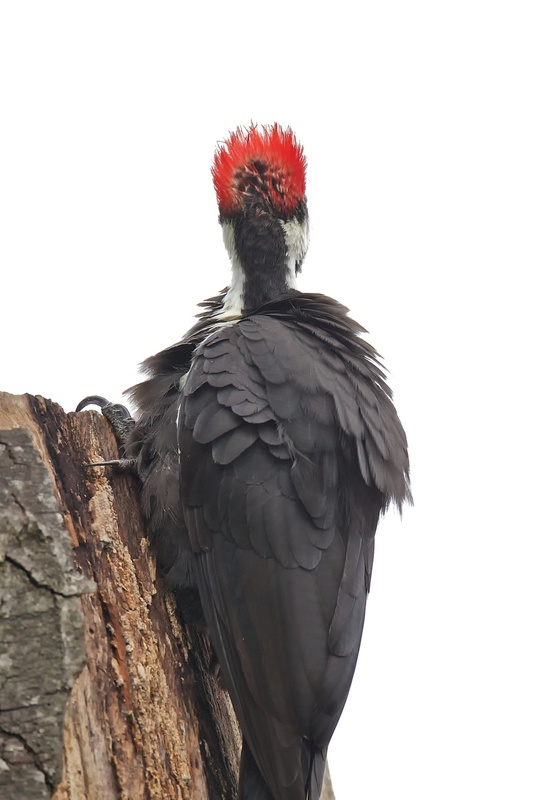 It’s high time to hang up the suet feeder. Bird sounds provided by The Macaulay Library of Natural Sounds at the Cornell Lab of Ornithology, Ithaca, New York. Recorded by Jay W McGowan, Geoffrey A Keller and Bob McGuire.